This is what Jimmy Palmiotti and I wanted to happen at Comic Con San Diego 2015. The powers that be said no. So I finished the artwork anyway. Colored by Luis Guerrero. Let me know what you think. Who knows maybe if we get enough likes and shares we can change some minds. Chad - My daughters and I really enjoy your art; this piece is no exception. Also, the dual-gun blazing Harley is AWESOME! That would be awesome Chad. 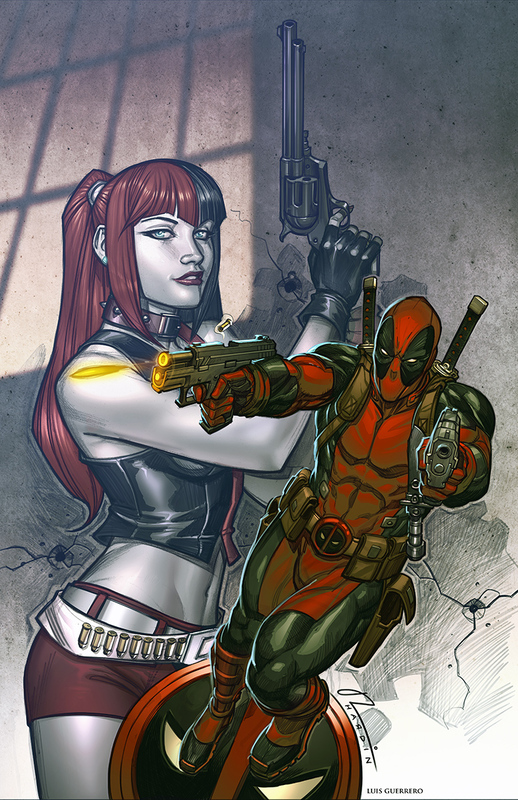 Anything harley you do is always great and when you throw in someone as comical as deadpool to the mix i imagine it would be a great crossover.